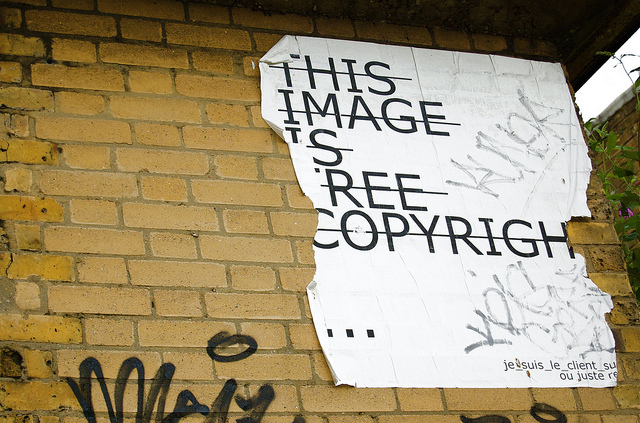 When it comes to copyrights, the owner of a protected work is typically the creator. Not a big surprise. But there are circumstances in which the creator of the protected work is not the owner and so will not be entitled to copyright protection. There are two ways for a work to be considered a work made for hire: (1) when created by an employee within the scope of her employment, and (2) when commissioned by another party, so long as it meets certain criteria. A work that is prepared by an employee within the scope of her employment is considered a work made for hire. Consequently, the employer, rather than the employee, would be the owner of the protected work. Keep in mind that an “employee” for purposes of this test does not have to be a formal, salaried employee, though that certainly simplifies the analysis. Someone can be considered an “employee” so long as she falls within the common-law principles of agency (i.e., the right to control the person and the work). However, a true independent contractor will not be considered an employee. Tip: Even if a work is not created within the scope of employment, it may still be owned by the employer if there’s an assignment provision in the employment agreement, a topic you can learn more about in this blog post. Commissioned works may also qualify as works made for hire. But to qualify, a commissioned work must be specified as a work made for hire, either in a contract or other writing, and the work must fit within one of the following categories: (i) a contribution to a collective work, (ii) a part of a motion picture, (iii) a translation, (iv) a supplementary work, (v) a compilation, (vi) an instructional text, (vii) a text, (viii) answer material for a test, or (ix) an atlas. If a commissioned work either isn’t specified as a work made for hire in a written instrument or doesn’t fit within one of the 9 categories listed above, then it will not be considered a work made for hire and the work’s creator will be its owner. For businesses, it’s often important to have ownership of copyrighted works created by employees. One of the ways to ensure you’ll own this IP is to use an employment agreement that spells out your ownership of this work and clearly defines the scope of your employee’s job. Even if you’re dealing with a non-employee, it’s worth including contract language to the effect that all work product is considered work made for hire. As a backup, you should include contract language stating that if the work is deemed to not be work for hire, then the creator of the work agrees to assign to the business all rights to the protected work. You can learn more about the use of assignment provisions, including the restrictions on doing so in Washington, in this blog post. By including this language, a business will still be able to obtain ownership of the copyright, even if it doesn’t qualify as a work made for hire. Of course, if this type of proposed language is objected to, businesses may have to determine whether owning the copyright is necessary in order to make the contract worth entering. For employees, it’s important to assess whether the work you’re doing is within the scope of your job description or is subject to the control of another. If it is, you likely won’t end up owning the copyright. For freelancers, the contract you’re presented with will likely explicitly identify you as an independent contractor, not an employee. This is helpful insofar as it means your work won’t be considered work made for hire as an employee. But don’t stop reading there! The contract you’re presented with may state that the work you’re doing is work made for hire or that you agree to assign your ownership right. You shouldn’t accept a provision like this just because it looks like standard boilerplate or legalese. Instead, consider negotiating an agreement where you own the protected work but grant a license to whom you prepared it for to use it in a certain way and for a certain period of time. If you have more questions about work made for hire, or about copyright issues in general, you can leave a comment below or contact us directly.